A still from the legendary 1962 film "To Kill a Mockingbird," starring Gregory Peck (pictured) as crusading lawyer (and beloved father) Atticus Finch. Alabama author Harper Lee doesn't speak publicly very often, but she says she's honored President Barack Obama is taping an introduction to a special showing of the movie based on her novel "To Kill a Mockingbird." USA Network says it will air a fully restored version of the movie Saturday evening. It will include a brief introduction by the president, who recognized Lee at a White House event last year. Lee lives in the south Alabama town of Monroeville. In a statement released by the network, Lee says she is deeply honored that Obama will introduce the movie to a national audience. 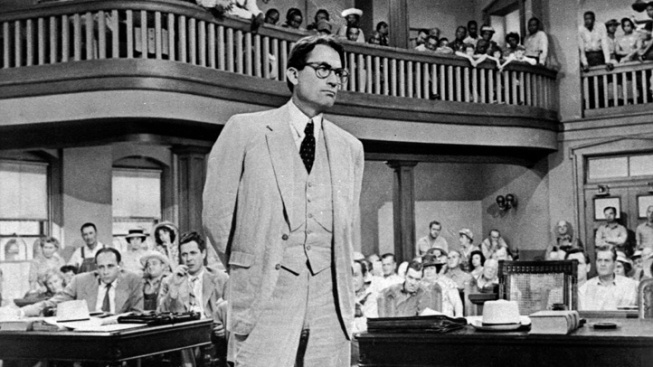 The 50-year-old film features actor Gregory Peck as Alabama attorney Atticus Finch fighting for justice for a black defendant in a small southern town. The character is based on Lee's father.